CSA, or Community Supported Agriculture, is a seasonal program that supplies local subscribers with food grown by local growers. Shareholders with Arlington Crest Farms will receive bi-weekly shares of seasonal fruits, vegetables, and herbs. They also will receive e-newsletters that include farm updates, corresponding recipe ideas, and access to farm, garden, and culinary DIY info. The season begins in June and ends in October. We also have a fall CSA that runs October-December that incorporates seasonsable veggies, as well as some local yogurt, jams, and salsa. Information for this will come out in September. Now in the 4th CSA season, AC Farms offers its members over 50 kinds of sustainably grown produce. Always abiding by USDA Organic standards, we are working towards certification. Our focus is to grow and provide high quality produce while practicing regenerative and responsible farming techniques with limited outside inputs. The CSA format is how AC Farms was founded. 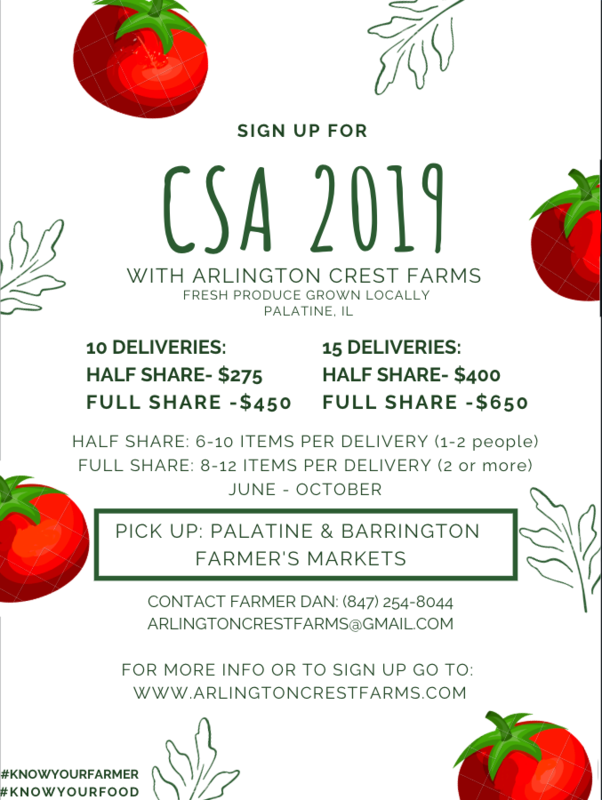 The investments over the past 4 seasons have stimulated growth in this local farming business that now has the capability to provide CSA shares to over 50 members! Invest in your local farmer by purchasing food close to home. Think global, act local.